The Qur'an offers several ayahs that remind us to reflect upon the beautiful outdoor world that surrounds us. Staring at a mountain range can only leave a person awe struck and reminded of how small we are in this world. Observing the fixed order in which the sun rises and sets leaves those who reflect upon it craving to create that same sense of order in their life. In essence, taking the time to enjoy nature can mean taking time to strengthen your faith. Summertime is upon us, and while some may spend it tucked away indoors with the air conditioning on, why don’t you use this time as an opportunity to take full advantage of what the outdoors has to offer. A unique way of doing so would be to structure your outdoor activities around the ayahs of the Qur’an. The Qur’an offers several ayahs that remind us to reflect upon the beautiful outdoor world that surrounds us. So why not dedicate some of your time this summer for each of these ayahs, and truly consider their meanings? The birds come out and chirp at Fajr time (dawn). It’s the perfect time to step outside before heading to work or school and think about our Creator holding them up in their flight. This can infuse the rest of the work day with the notion that everything we are accomplishing is by Allah’s will. Birds are able to defy gravity and soar through the air due to a complex body structure surpassing that of airplanes. They must have a skeleton with light bones so that it can have a lower mass than that of their feathers. Streamlined bodies also allow them to glide smoothly when they are flying. Perfectly curved wings also allow them to obtain the lift they need to float in the sky. Internally, they have chambers with air sacs to store extra oxygen needed for their flights. Since flying makes their bodies generate increased amounts of heat, their respiratory system is designed to regulate their body temperature to keep them from overheating. Allah has given them a majestic body structure with which to fly. Children are usually fascinated by clouds. Taking some time to sit outside before dinner can be a great opportunity to point out the clouds above us. The children can help spot the ones that are moving gently, and ones that Allah has joined together into a heap. Hail and lightening may not seem so scary to children if they know that it is Allah, the Most Merciful, that is in control of it all. To bring it to another level, parents can help children learn the scientific names for the different types of clouds. The high, wispy clouds are known as Cirrus clouds. They look almost like hair with curled up ends. Another type of cloud that sits a little lower is the Cumulus cloud. They are the puffy clouds with edges that are distinct. The clouds that produce lightning and thunder are called Cumulonimbus clouds. These cover the sky like a blanket. A hike to a forest or a trip to the zoo can turn into a fun scavenger hunt for the different types of animals listed in this ayah. After observing the different creatures, one can think about how they would be classified according to the ayah. The way in which animals move depends largely on the environment in which they live. Some animals are fast, while others move slowly and deliberately. There are many factors which correlate with how the animals move about, such as how they obtain their food, the land on which they live, and how they reproduce. For example, some animals must cover great distances in order to reach their food. These animals must have ways of movement that accommodate such physical demands. Some lands are large and flat such as grasslands. The open spaces found in these areas provide animals with an opportunity to build up their speed. It is by no coincidence that some of the fastest animals can be found in grassland. Allah designs animals in the most perfect manner to suit the environment that they live in. 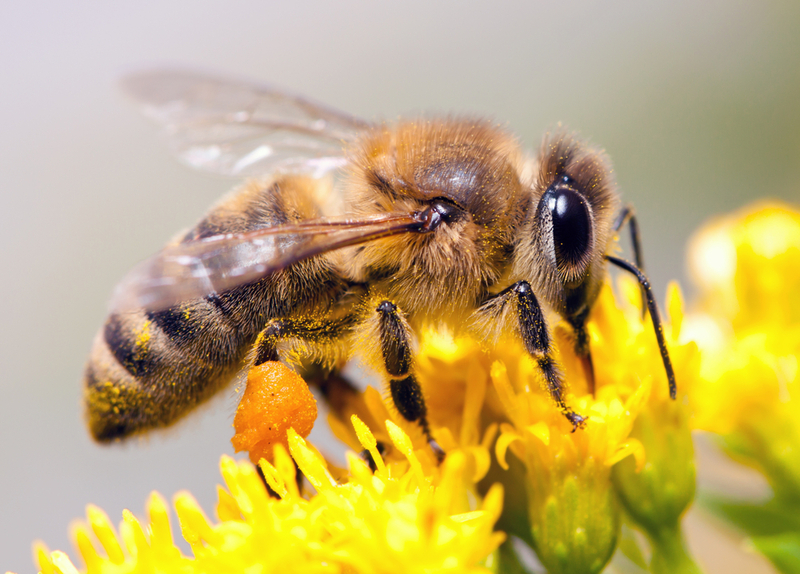 A honey bee, in contrast with the stingless honey bee, is any bee member of the genus Apis, primarily distinguished by the production and storage of honey and the construction of perennial, colonial nests from wax. Next time a bee flies by, instead of ducking in fear, this ayah can be discussed as a reminder of the majesty of bees and the benefits of honey. Science has proven that honey has a number of scientific benefits. It contains an anti-infective component. This component can help heal skin wounds, coughs, and intestinal ailments. It is also known to contain anti-oxidants. An interesting study found that 32% of cancer patients that were studied attributed honey to an improvement in their quality of life as it strengthened their immune systems which led to them contracting fewer infections. These are just a few of the many ayahs that discuss nature in the Qur’an and can be used as a springboard for delving into various scientific topics this summer. These ayahs help shape our view of nature and help us to see beyond the surface. Summertime is here, and nature is just waiting to be discovered. “Animal Movement” Accesed 8 August, 2009. “The Marvelous Mechanics of Flight” Accessed 16 April, 2009. “Plymouth State University Meteorology Program Cloud Boutique” Accessed 2 July, 2009. Walters, Sheryl. “Honey Offers Many Benefits” Accessed 25 March, 2009. Suzanne Fouad graduated from the University of Texas at Dallas with a degree in Interdisciplinary Studies concentrating on Elementary Education. She resides in North Texas where she has always been an active member in the Muslim community. She is currently pursuing freelance writing centered around topics of interest to the Muslim world today.